City of Bonita Springs Downtown Improvements Project - Agnoli Barber & Brundage, Inc. 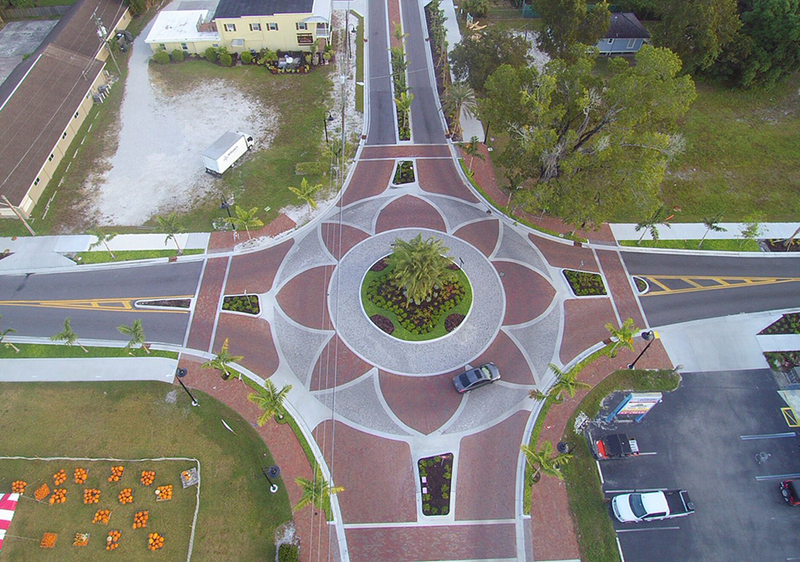 The City of Bonita Springs improved the downtown area along Old US 41 from Tennessee Street to Terry Street by beautifying the area and making it more accessible to the residents. The improvements included improved hardscaping and additional landscaping, improved pedestrian access, construction of roundabouts, construction of additional parking near the downtown area, improved drainage systems, and general beautification. ABB engaged with the City of Bonita Springs to design the stormwater management and water quality improvements with the goal of providing the highest amount of water quality treatment credits possible for the 400+ acre drainage area. Multiple constraints made water quality treatment difficult, as the area has narrow rights-of-way with the surrounding area having been built out. ABB worked with the City of Bonita and the site planners to turn on-street parking into porous paver exfiltration areas. On-street parking areas were designed with pervious pavers located over exfiltration trenches containing weirs and perforated ADS pipes. Where it was feasible, stormwater from the streets would be directed into the inlets in the parking areas and onto the porous paver parking areas. Control structures were designed at strategic points along the project to attenuate water at the levels needed to provide water quality treatment for the project. The use of Pervious Pavers and Exfiltration Trenches provided the highest water quality treatment possible within the constraints of the right-of-way. The conceptual permit process provides a means for municipalities to work with local planners and designers to provide the community with permitted areas for development. Providing water quality for a large development area allows smaller businesses to develop land that might not have the space required for water quality treatment.